NaKniSweMo – try to say that 5 times fast! NaKniSweMo is on! For anyone not familiar with this acronym, it stands for National Knit [a] Sweater Month, and information about what it is/how its done is here. Due to my overachieving nature Christmas knitting schedule of 3 sweaters for my nephews, I am participating this year. This type of event is done on a voluntary basis, and there is no prize or committee to congratulate one’s success on actually knitting a sweater during the month of November. 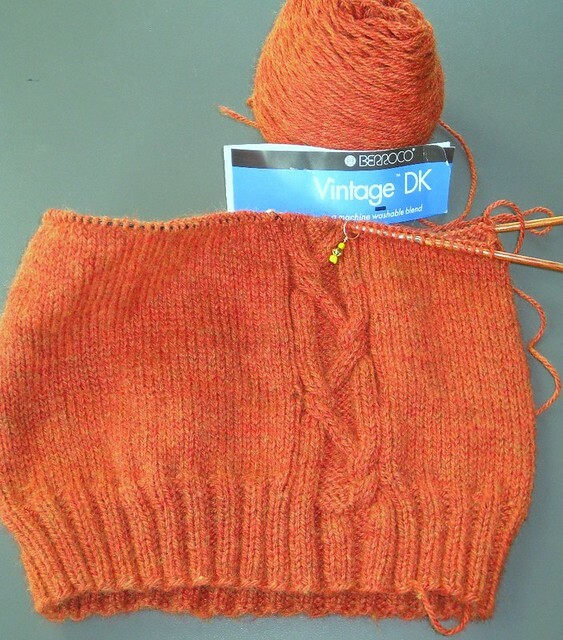 Rather, it serves as a personal challenge to get a sweater done – especially if its mocking you from your yarn stash & project queue. There’s also a Ravelry group to cheer you on if you need it. Not bad huh? 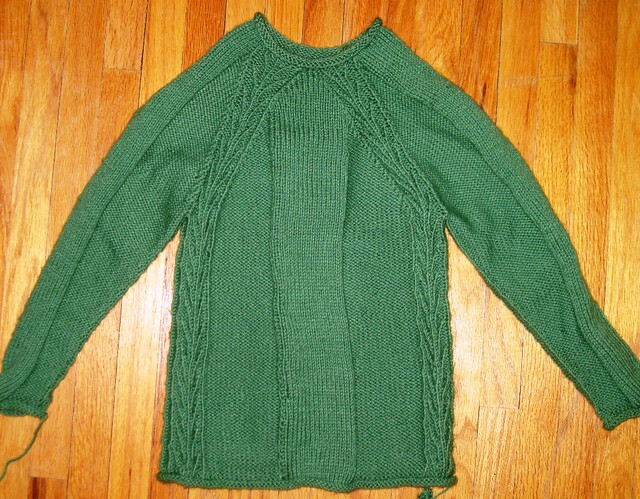 Its making me feel much less anxious about the fact that I still have a whole other kid sweater to knit before C-day. Perhaps one day I’ll figure out the math and make one of these Soledad sweaters for myself. I really do like this pattern that much. You are currently reading NaKniSweMo – try to say that 5 times fast! at When Gaia Smiles.